How do Rent to Own Homes work in [market city]? What is the local Rent to Own process? How Does The Monthly Rent Work With A Oklahoma City Metro Rent To Own House? What if I have bad credit? Can I still get a home? What are the benefits of buying Rent to Own? I love the house and I’m ready to move in. What do I do next? I’m a cash buyer. Can I still buy a property from you? How Do Rent To Own Homes Work In Oklahoma City Metro? You first pay an upfront payment to move in and secure the contract and the terms with the option to buy. The “option fee” or “move in amount” may in some cases act as a percentage of the down payment on the home, should the renter decide to purchase at the end of the term. This may or may not be the case depending on when and where you’re reading the article (based on laws). Connect with us directly for the local Oklahoma City Metro OK Rent to Own laws. At the end of the rent to own agreement (usually 1 – 3 years) you decide if you want to purchase the home for the price you agreed on initially in your rent to own agreement. If you want to buy the home, great! We can assist you in getting qualified for a conventional loan to buy the home. If you don’t want to buy the home, no biggie. You’re not required to buy the home at the end of a rent to own agreement in Oklahoma City Metro… the choice is fully yours. So, for the question of “how do rent to own homes work in Oklahoma City Metro“… well that’s the basic process. Just do your research, talk with reputable and experienced companies like OwnerFinanceOKC.com who can walk you through the local Oklahoma City Metro rent to own house process… and make the smart financial decision for you and your family. Many people choosing rent-to-own may have past credit problems, or may just be unsure if purchasing a home is right for them. If that’s you and you want to look into the rent to own process and even see the available rent to own / lease option houses here in Oklahoma City Metro OK, click the link below and fill out your basic info to get on our Oklahoma City Metro rent to own home list. 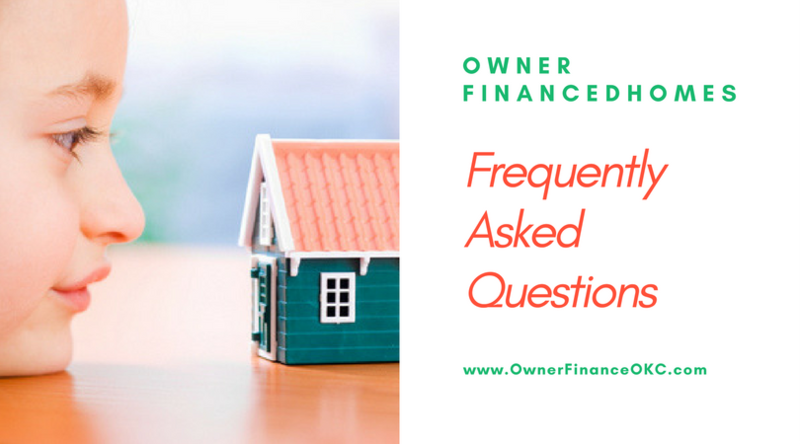 You will need a certain amount of a down payment in household monthly income, usually around 5%, and we need to verify that you have the ability to make the monthly payments. We do this for your protection so we know you will be able to afford the home you want. First step – sign up to find great properties around the Oklahoma City Metro just by filling out the form. You’ll get immediate access to great Oklahoma City Metro homes, plus a whole lot more. What are the benefits of buying Rent-to-Own? 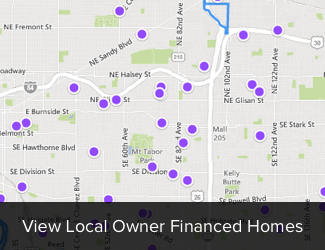 In the Oklahoma City Metro area, lots of smart people are using owner financing as a way to get the home of their dreams without having to first qualify for a bank loan. When you move into one of our houses, you’re able to start paying toward the purchase price, even though you didn’t get a bank loan. Part of your monthly rent payment will go toward the purchase amount so that when you do finally decide to buy, you’ve been getting credit for your payments all along. Our Oklahoma City Metro homes range in price, and typically require a down payment of $3,000 to $10,000. We have found that this is the best price range to find homes that are in decent neighborhoods where people want to own a home and raise a family. What are the requirements of a Rent-to-Own arrangement? We love helping great folks to reach their dreams, so don’t be afraid – check out the available properties here. Fill out the following applications, and email it to us, and we’ll get things going! Any person who is 18 or older, but will NOT be on the loan will need to fill out this application instead. Definitely. Our prices are often flexible for cash buyers, so feel free to give us a call. You can also check out wholesale deals for cash buyers here.